When I was growing up, we weren’t called tweens during those years after adolescence and before becoming teens, but when I think back to those years, I remember the excitement that came along with the onset of summer. Exchanging the stuffy classroom for the great outdoors and a stint at the beach was always heavenly. It’s different as we move through our adult lives, of course—the seasons all but running together given the warp speed at which we live now. Erica Barry, Diane Keaton’s character, works on her Broadway play in her Hamptons bedroom. And yet, something occurred to me as I was thinking about this post: I still feel a slight twinge of nostalgia when I think about those days building sand castles along the ocean’s edge. 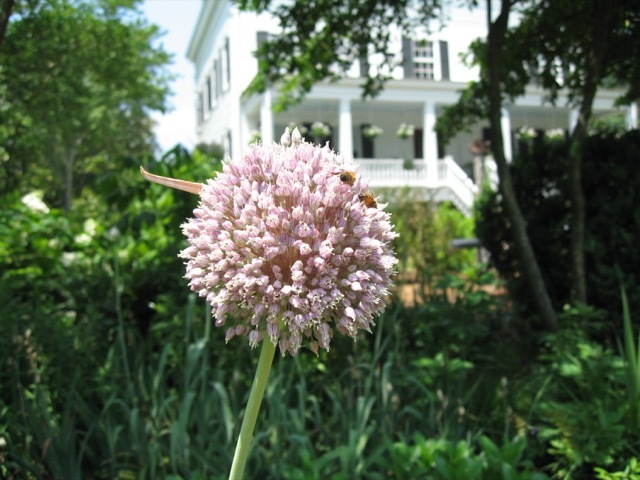 Several years ago, the romance of a graceful beach house gained a soundtrack, a decorated cosmos and a famous face. All three exist within the contrived universe of the film Something’s Gotta Give. The movie was directed by Nancy Meyers, whose ability to achieve sets that make design devotees swoon, has attracted our attention before. Our post on The Holiday featured homes in England and Los Angeles. 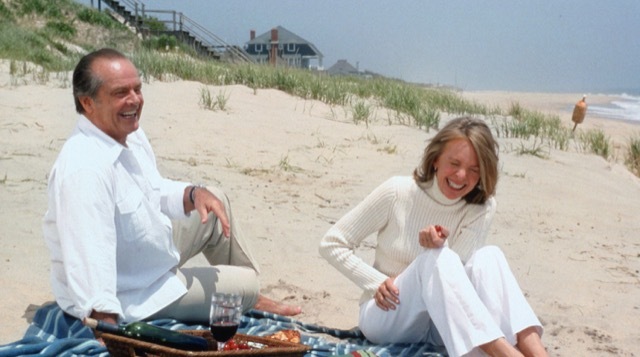 In this film, she takes us to the Hamptons where an unlikely courtship between Diane Keaton and Jack Nicholson blossoms. The beautiful backdrop in which their relationship springs to life has to be one of the most written about homes in movielandia. 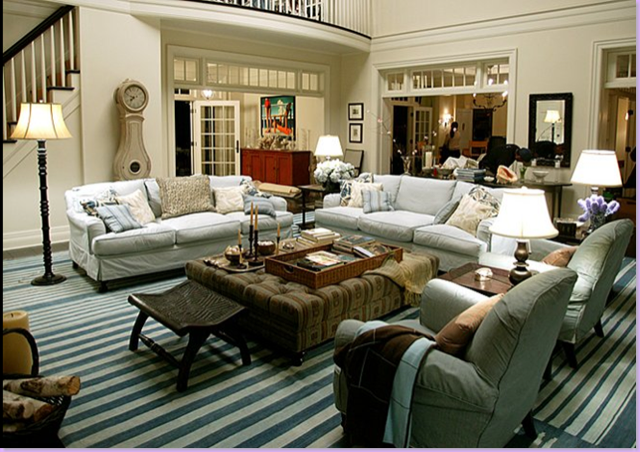 When I first saw the film, I couldn’t decide whether I was more enamored with the interiors of the Hampton’s beach house, which was actually a set on a sound stage, or of Erica Barry’s career as a playwright! The casual sophistication of the living room is so at home in this beachside retreat. As we move into yet another summer, I thought the film could serve as the jumping off point for all things seaworthy in Currey & Company’s new product introductions, many of them the best selling or most popular debuts during the last several months. As a way to salute the summer shows (Dallas Total Home & Gift Market takes place next week—details below) let’s savor some buoyant products that exude the blithe spirit of summers spent strolling along the beach. Currey & Company Faux Bois furniture illuminated by outdoor lighting. One of Currey & Company’s specialties has long been faux bois. 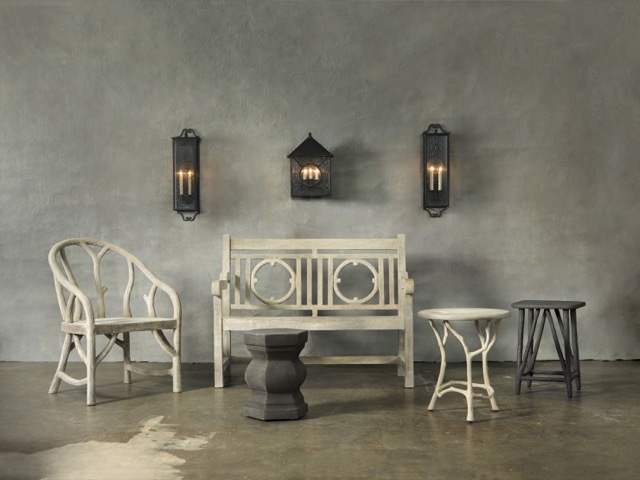 This ensemble includes the Leagrave bench, Arbor chair, Arboria accent table and Hidcote accent table illuminated by the Ripley and Giatti outdoor wall sconces. 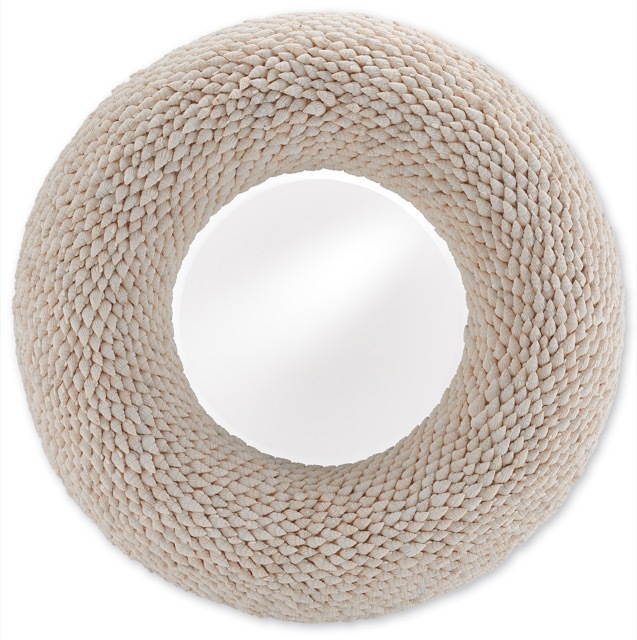 The Coyle wall mirror is a wonder of artistry covered in swirling ivory shells. 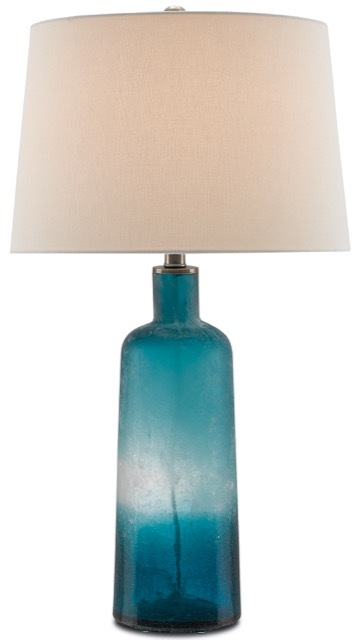 The Jungli table lamp is made of sea blue glass in hues that graduate like mists settling on the ocean. 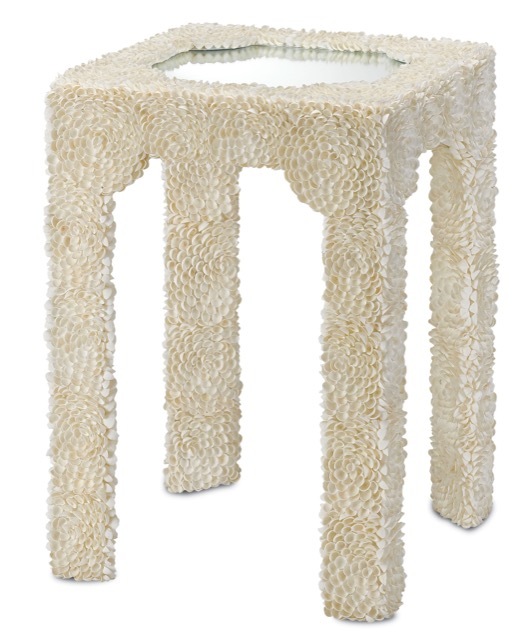 The Leena side table whispers its floral details that are created by clam rose shells; the piece of mirror inset into its top the perfect perch for a cool drink. 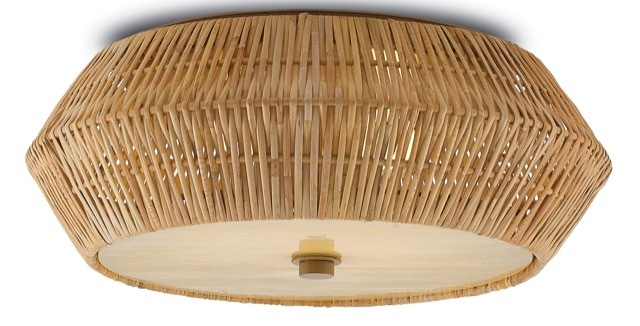 The Antibes flush mount ceiling fixture is made of rattan in a natural finish complemented by a diffuser of honey beige art glass. Every picnic should have so prettily women a basket! 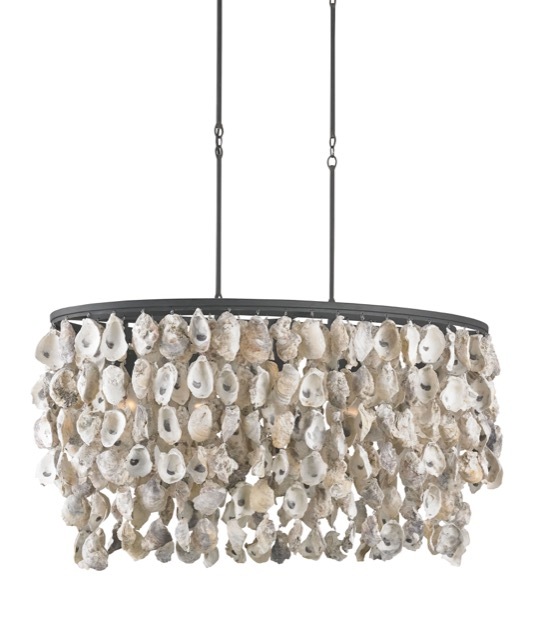 The wrought iron frame of the Stillwater chandelier drips with oyster shells that inspire thoughts of the briny tastes of summer.. 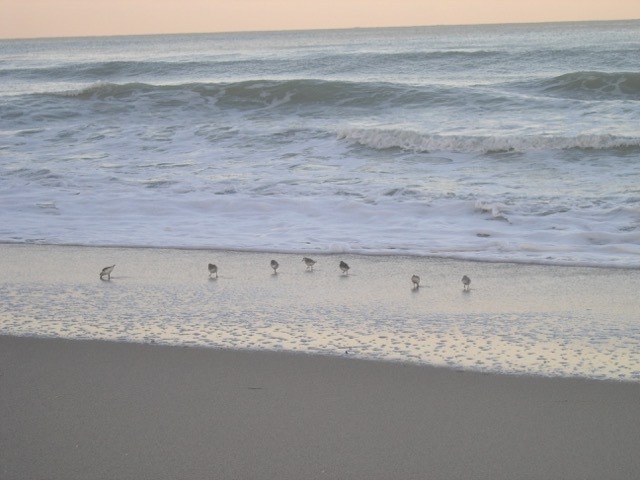 I leave you today with a bit of inspiration from Anne Morrow Lindbergh’s iconic Gift from the Sea: “The beach is not the place to work; to read, write or think. I should have remembered that from other years. Too warm, too damp, too soft for any real mental discipline or sharp flights of spirit. One never learns. Hopefully, one carries down the faded straw bag, lumpy with books, clean paper, long over-due unanswered letters, freshly sharpened pencils, lists and good intentions. The books remain unread, the pencils break their points, and the pads rest smooth and unblemished as the cloudless sky.” Happy summer, everyone! This entry was posted in Currey & Company, Market, Products and tagged Chandeliers, faux bois, Garden, Lighting, mirrors, Natural, nautical, occasional tables, Oyster Shell, Rustic, seashell, Table Lamp, Wall Sconce on June 13, 2017 by Currey & Company. Summer Bliss..thanks for the laugh, I forgot how funny that movie was, and thanks for the temporary escape to the beach… even if it was for only 5 minutes! cheers! I’m glad we could offer you a spot of an ocean breeze, Vivi! Happy Summer!